With over 40 years experience in the tyre industry, we have the knowledge and expertise your business or organisation requires. Our service is geared towards giving today’s modern transport operator a quality service, peace of mind, reduced downtime and most importantly value for money. Our range of services can be built around your business to give you the complete tyre management package which will help to control and reduce your tyre spend by ensuring that you get the most out of your investment in rubber right across your fleet. The main advantages of the Off Vehicle Wheel Balancer are that you are able to static and dynamically balance a truck wheel and rim. We also have a closer inspection of the tyre and rim to look for any problems that may be causing the out of balance. We can generally handle tyres up to 46” and rims up to 26” diameter and from 4.5” to 18” wide. To enquire about balancing email jamie@magowantyres.co.uk. As tyres have been improved to give better handling and directional stability, they have also developed a much lower tolerance to misalignment. Maintaining correct alignment of all the wheels on trucks and trailers is critical if you are to achieve good results from your tyres as well as optimum fuel economy. To enquire about an alignment email jamie@magowantyres.co.uk. The cost of replacing damaged tyres that still have usable tread can seriously impact your bottom line. We provide a comprehensive repair service for all agricultural, light and heavy goods vehicles to help reduce unnecessary costs. All our puncture repairs are carried out to British Standard BS159. To enquire about a repair email jamie@magowantyres.co.uk. Professional tyre regrooving is a sensible option that prolongs the life of a tyre, making it even more economical. In fact, regrooving pays off twofold: firstly, because you can simply drive the tyre for longer, and secondly because the lower profile thickness reduces rolling resistance, which in turn reduces fuel consumption. To enquire about tyre regrooving email jamie@magowantyres.co.uk. 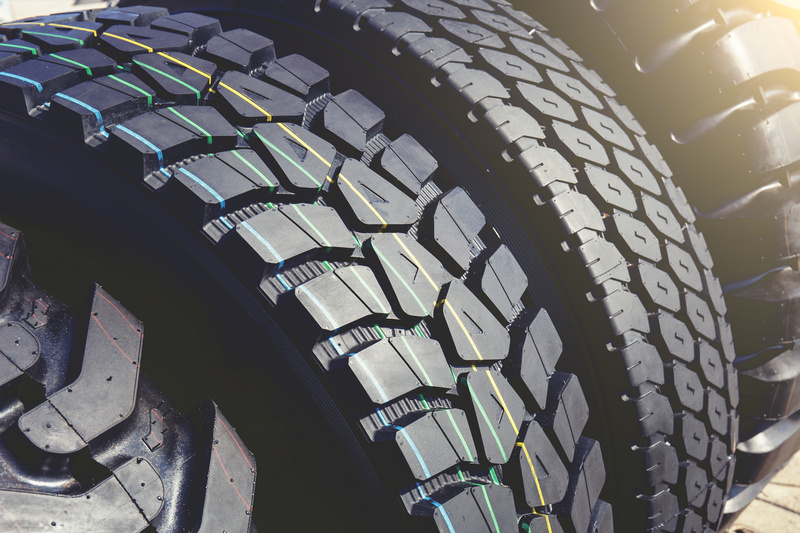 Here at Magowan Tyres we work with you to maximise mileage per tyre and fuel economy, as close monitoring of your tyre spend saves your business money in the long-term. We believe our responsibility begins, not ends, when a tyre is fitted and that is why we do all that we can to prolong the life of every tyre we fit. This is achieved through the implementation of a range of commercial tyre services, including; re-grooves, turn-on-rims, pressure checks and much more, all with the ultimate aim of reducing the long-term operating costs of every vehicle. We always select and perform the appropriate commercial tyre service at the right time. In doing this we prolong the life of every tyre on your fleet, therefore extracting the maximum mileage out of every pound spend on tyres. Bespoke management plans help maintain budgets and keep vehicles on the road. Problems within a fleet can be time-consuming and costly, a proactive approach keeps losses in both budget and operation to a minimum..
We inspect your fleet of vehicles regularly including weekend checks to avoid business disruption, to ensure that the tyres on your vehicles are safe, legal and roadworthy. History of products fitted including brand, pattern, date of fitment and re-torque value (if applicable), any repairs, re-grooving or wheel changes undertaken for each individual vehicle and wheel position for the past 24 months. The correct tyre management program is bespoke to your business needs and intricate in structure. We provide the information and advice to give you a clear understanding of the implications of the right and wrong decisions. We can help protect your business from unwise spend through one to one consultations and analysis of your fleet needs. We will work together with you to form a well-informed team who can ascertain if and where your business is exposed. A clear plan can then be formulated, checked, checked again and then implemented. The aim will always be to reduce operating costs where applicable without compromising safety, to have measures in place to reduce downtime to an absolute minimum and judge where further costs can be saved within the fleet. Managing a fleet to prevent issues before they arise is a key element. Inspections, strict safety checks and analysis of everyday usage allows for potential issues to remain just that. While reactive management is needed when certain situations arise, every effort will be made to reduce the requirement. We will work with you all the way through from creation to refinement to execution of a bespoke and comprehensive tyre management system that’s exclusive to you and your business needs. Magowan Tyres help dozens of businesses to implement time and cost saving methods, improve day to day fleet strategies and offer more suitable product options. If you feel that Magowan Tyres could help your business to streamline fleet operation and make educated suggestions on products then fill in the form below to arrange a site visit and we will be happy to meet with you.